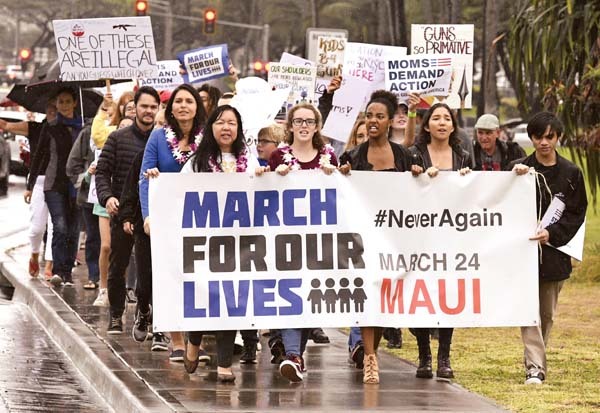 Maui high school students passionately demanded lawmakers and adults stop making excuses about gun violence and never forget those who have been killed over the years as part of a nationwide march Saturday at the University of Hawaii Maui College. Around 1,000 people rallied together on the college’s Great Lawn for a handful of speeches by students and others before marching up and down West Kaahumanu Avenue for the March for Our Lives. More than 800 marches, including one with hundreds of thousands of protesters in Washington D.C., took place and were sparked by last month’s Parkland, Fla., school shooting that left 17 dead. 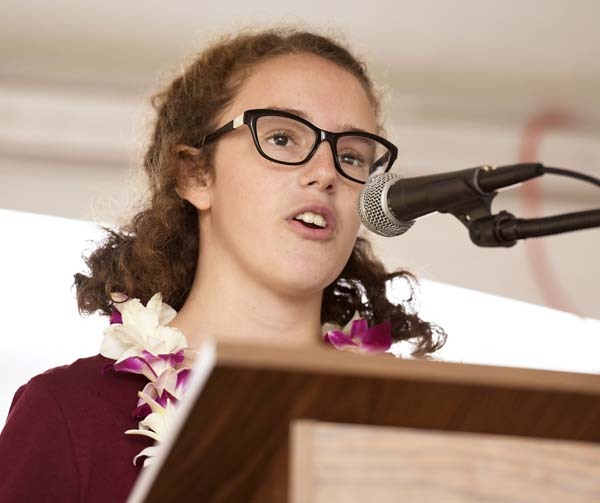 “No child should have to worry about being shot,” King Kekaulike freshman Rachel Zisk said to the Maui crowd. “No parent should have to bury their child. Yet, if you are my age, this is so normal we have become numb. Mass shootings have occurred our entire lives . . . We’ve become numb watching our parents discuss these mass shootings and then move on. We’ve seen dead children become mere statistics. These childhood victims cannot speak for themselves. 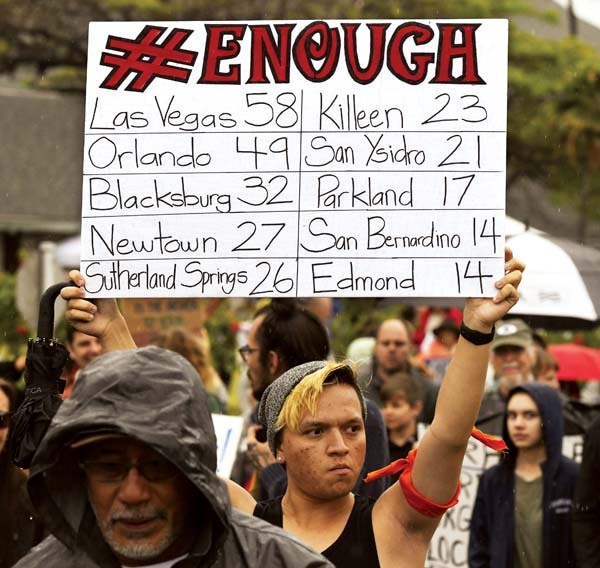 It is up to you and I.
Zisk, an organizer for the march led by high school students, said her cousin is a survivor of the Marjory Stoneman Douglas High School shooting. Her cousin, Leah Ronkin, hid in a closet in the drama building and could hear the gunman shooting her classmates next door. Nikolas Cruz , 19, has been charged with 17 counts of premeditated murder and is being held without bond. Haleakala Waldorf senior Gita Tucker told the crowd that she believes young people for the first time have a voice in the debate over gun laws. She said the nation needs to “take a hard look at the past and question why nobody has done anything to stop” gun violence. As a result of the most recent school shooting, students have made more progress and brought more awareness to gun violence than anyone has in the past 20 years, Tucker said. She repeated that there are no more excuses for adults and lawmakers. “We are going to have to be the change we want,” she said. 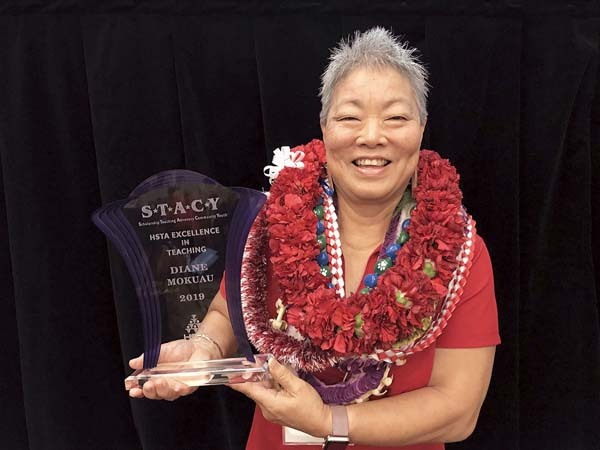 One of Saturday’s adult speakers was Women’s March founder and Hana resident Teresa Shook. She became an overnight celebrity after sparking the worldwide march attended by millions after President Donald Trump was elected. Several Maui County Council members and U.S. Rep. Tulsi Gabbard also were in attendance. “I’m so proud of the grass-roots efforts that have grown from that and now here these students are taking it up. It’s awesome,” Shook told the crowd. Shook encouraged the crowd to vote for political candidates in the next election who support common sense gun laws. Conversely, she told the crowd to vote against lawmakers who accept money from the National Rifle Association or oppose stricter gun laws. Voter registration tents were set up at the college and Maui Arts & Cultural Center. Volunteers said at least 100 people had registered at the two booths by 4 p.m. 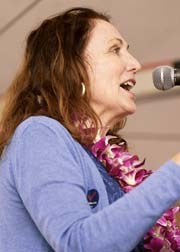 Many of Saturday’s marchers were on vacation from other states and researched when Maui’s march one would take place. One family from Seattle brought seven people to the march. Many high school students who joined the march believed they needed their voices to be heard. Some hoped that gun laws will be re-evaluated in light of the nationwide movement. A concert featuring artists Jack Johnson, Willie Nelson, Kris Kristofferson, Willie K, Landon McNamara, Lily Meola and others was planned to take place after the march at the MACC. About 5,500 people were expected to attend the Concert for Our Lives.